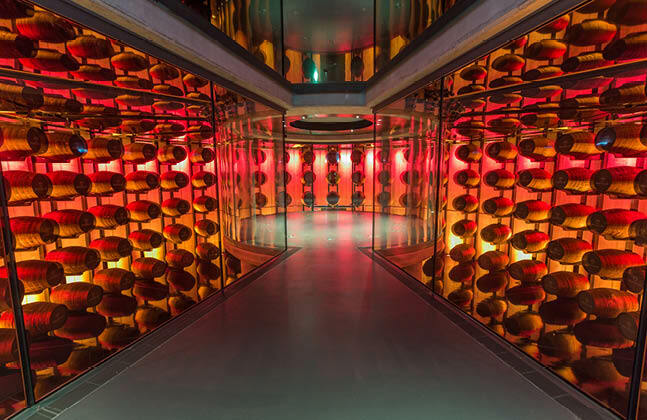 If you have seen The Macallan’s new distillery, located in Craigellachie, Scotland, you’ll have noticed that it looks more like an art exhibition than a food and beverage facility. 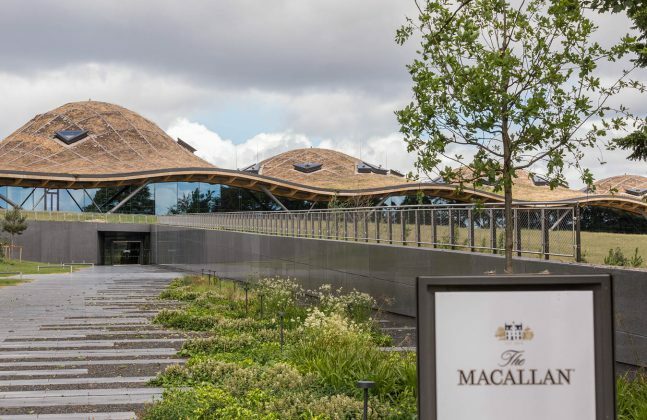 With its sweeping roof mirroring the Scottish hills and an interior that merges both heritage and innovation, The Macallan is an architectural masterpiece, as well as a production plant for one of the worlds’ most famous whisky brands. 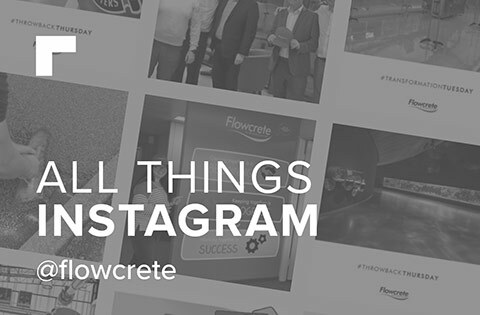 As this is such a great showcase of resin flooring, we’ll be uploading a series of posts on this project that go into more detail on particular topics and aspects of the building. Keep your eyes peeled for the next installation, but for now, welcome to The Macallan. Founded in 1824, The Macallan was one of the first distillers in Scotland to be legally licensed. Drawing upon influences of Spain, North America and Scotland as well as the use of natural raw materials combined with traditional methods of craftsmanship, The Macallan wanted a distillery that conveyed this cultural and traditional brand message to all who visited. The project started life when Edrington, the international spirits group that owns The Macallan, decided to build a £140 million facility to meet an increasing global demand for its iconic whisky product. 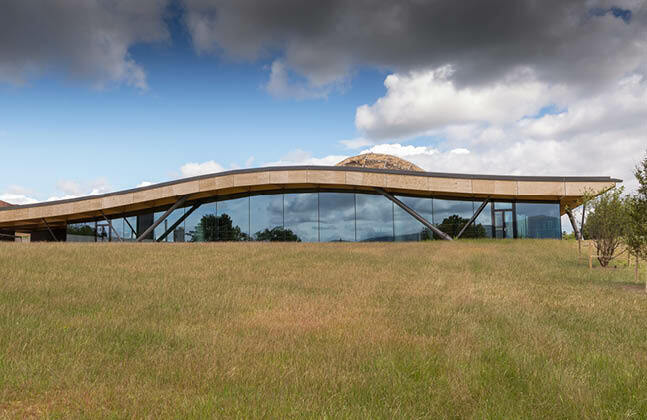 Edrington knew that no ordinary site would suffice and worked with the architectural practise Rogers Stirk Harbour + Partners to build an architectural monument on The Macallan’s traditional Speyside estate to house both a distillery and visitor centre. Not only does the new distillery merge The Macallan’s centuries old traditions with cutting-edge thinking, but it does so in a way that allows visitors to see each step of the process while surrounded by a sustainable and luxurious environment. 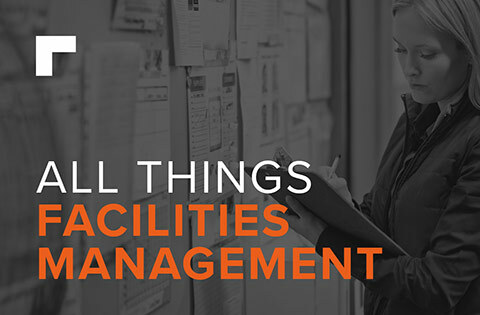 To do this, the facility needed to meet all of the challenging industrial concerns inherent to making some of the world’s best whisky while simultaneously conveying an inviting, on-brand aesthetic. For the flooring, each area of the distillery had to be suitable for the task at hand, which meant knowing exactly what the floor would be put through and how the chosen system would react in that environment. As well as providing the correct flooring systems, the installation had to be faultless, which was no easy task given the size and complexity of the project. The scale of the task at hand was summed up best by the project director, who described it as “building a skyscraper on its side in the Highlands”. 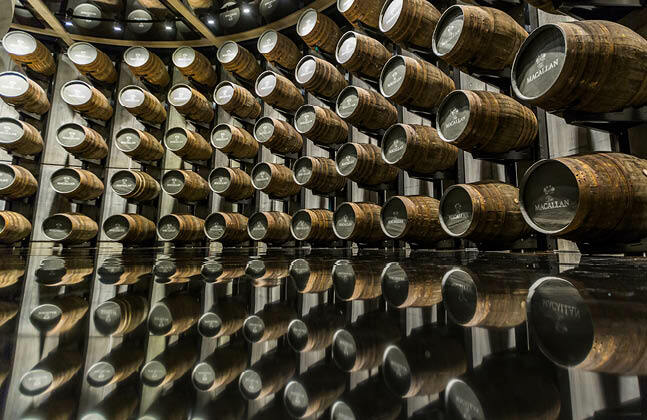 The Peran SL coating installed in the iconic cask room particularly exemplifies the project’s demands, as the intricacy of the detailing and the achievement of a faultless installation to successfully provide this sort of seamless surface requires the upmost skill, craft and confidence in the system being applied. The high gloss, perfect finish that was required was very difficult to achieve due to multiple tie inns. For the distillery itself, the robust and chemical resistant Flowfresh range from Flowcrete UK was chosen for its ability to withstand onsite conditions and provide additional benefits such as easy cleanability, slip resistance and an in-built antibacterial agent. ry’s design and equipment, a number of pours of the Flowfresh HF LT were required within a layout of concentric circles – this presents an unusual application challenge for an industrial polyurethane system. 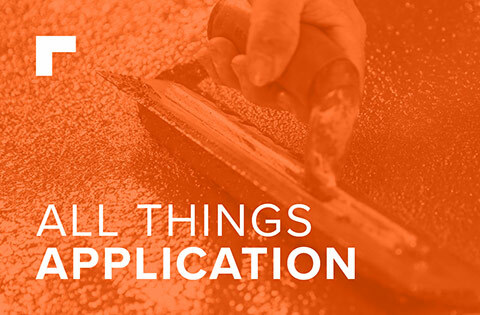 To ensure that the application technique was appropriate, offsite tests were first conducted so that the actual installation could go ahead as smoothly as possible. The floor’s aesthetics was a critical aspect of this project, as it had to tie into the site’s image while emphasising the flow between the industrial and commercial aspects of the site. Toby Jeavons, Project Architect and Associate Partner at Rogers Stirk Harbour + Partners, said that “the distillery is ‘the’ exhibit and the reason for the visit. 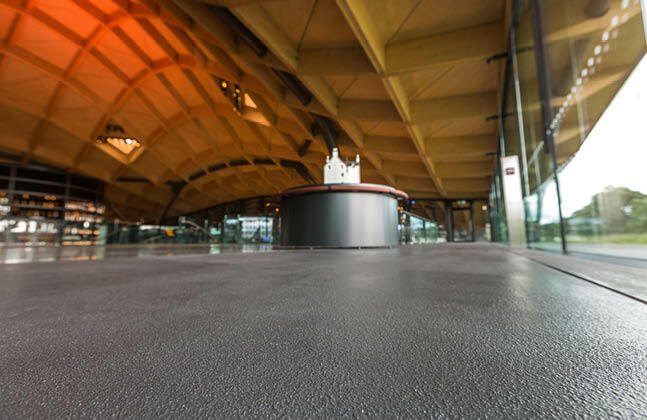 Therefore, the use of a resin floor finish throughout all of the visitor experience and working areas deliberately blurs the lines between ‘front of house’ and the production beyond”. Within the production area and main internal tourist routes this was achieved by utilising a sleek dark grey that reflected the industrial tones and hues of the site while conveying a contemporary, stylish ambience. 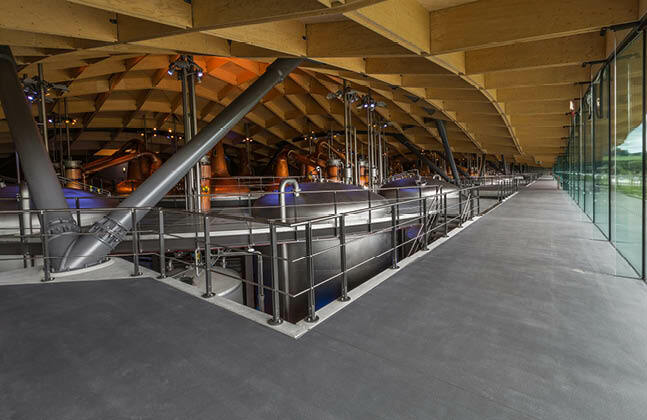 Visitors to The Macallan’s whisky tour would not just experience resin flooring in the production areas, as its screeds and decorative finishes were also applied across many other parts of the site’s visitor centre and distillery tour. Using resin flooring ensured that the floors in the industrial spaces would maintain a functional, visually attractive finish for the long term. 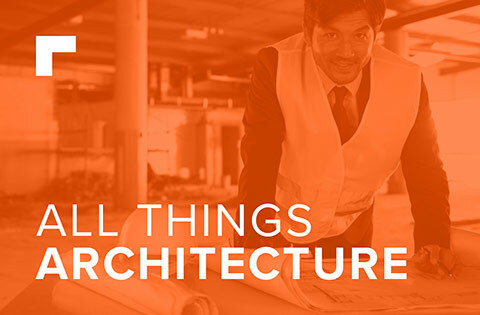 The robust, chemical resistant properties of the chosen systems would be able to withstand the onsite conditions and provide additional benefits such as easy cleanability, slip resistance and an in-built antibacterial agent. Similarly, the tourist routes would have to be tough enough to withstand foot traffic from the anticipated 50-60,000 annual visitors. 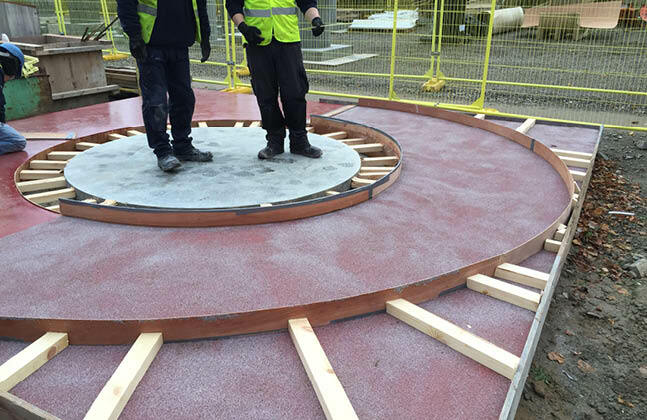 Another benefit of choosing resin flooring was that the fast curing nature of Flowfast Quartz Structure drastically reduced the amount of time required to complete the floor across the site’s main tourist routes and suspended walkway. The MMA formulation of Flowfast Quartz Structure means that it fully cures in only a couple of hours, instead of the days or weeks that alternative resin systems would typically take. Being a busy site, the health and safety of both workers and visitors was paramount. 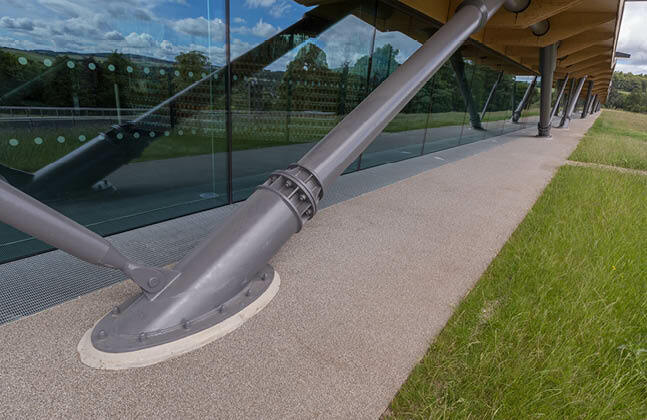 Thankfully, using resin systems meant that textured, anti-slip surfaces could be easily created in the areas where slip and trip risks were most likely. This included for the main tourist routes (coated with Flowfast Quartz Structure) where there would be very heavy foot traffic as well as on the external perimeter walkway (coated with Naturewalk) which is exposed to the elements. 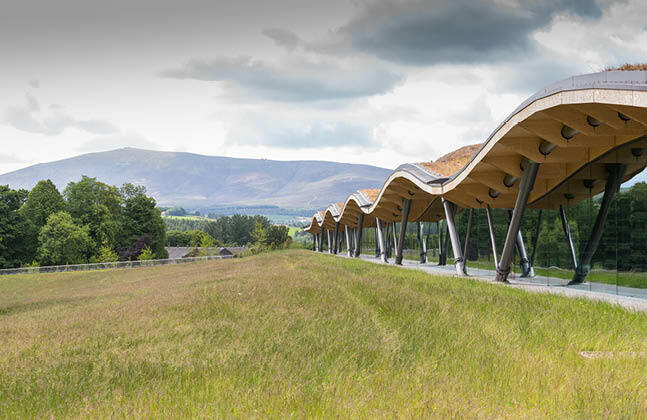 The new site will enable The Macallan to increase production by approximately a third, and thanks to its revolutionary design and the use of materials that combine aesthetics with practicality, it has effectively created a working museum that will display its traditional craft to visitors in a modern and atmospheric setting. If you would like to know more about any of the products mentioned in this article, please leave a comment below and we will get back to you.